Humans love fermented foods so much you’d think we’d have pickled ourselves by now: We can’t seem to get enough bread, sauerkraut, wine, yogurt, cheese, chocolate, or, of course, coffee. Well, coffee’s not a fermented beverage per se, but fermentation does play a part in the creation of this drink we love, and since we are insatiably curious about every step in the process we have attempted to learn and absorb as much as we can about the importance and the impact of fermentation on coffee quality and flavor. The word fermentation describes the natural occurrence of microorganisms such as yeast and bacteria consuming and metabolizing a variety of compounds found in organic matter (sugars, acid) to use as fuel like humans use pizza and peanut butter for fuel. As a result, these microorganisms break down their fuel sources and leave behind substances such as carbon dioxide, ethyl alcohol, acid, thiols, esters, etc. Basically, they eat what they need and poop out what they don’t; the waste products from this process are desirable to humans in that they are what make the difference between grape juice and wine, between a lump of dough and a perfectly risen sourdough bread, between fresh cabbage and kimchi. For those products, the effects of the fermentation itself are obvious because the thing that is being fermented is also the thing we directly consume. The reason we make the distinction between coffee as a fermented beverage and as a by-product of fermentation, then, is that while the coffee fruit is fermented in order to modify and remove it, the seed inside—which is what we actively use to make the coffee liquid itself—is not fermented, though it is (at least in theory) affected by that fermentation. This draws more of an indirect relationship between fermentation and coffee than the direct one that exists in wine or kimchi, then. It’s also one of myriad reasons the coffee industry, and even coffee flavor scientists, have had a harder time unpacking the actual nitty-gritty behind how the compounds created by fermentation in the fruit make their way into the seed: There are other variables that get in the way—including the fact that the seeds need to be dried before it is meticulously tested—that it becomes more difficult for non-scientists like us to plant an authoritative flag in the concept of fermentation and make bold, declarative claims about what it does or doesn’t do to coffee’s cup characteristics. 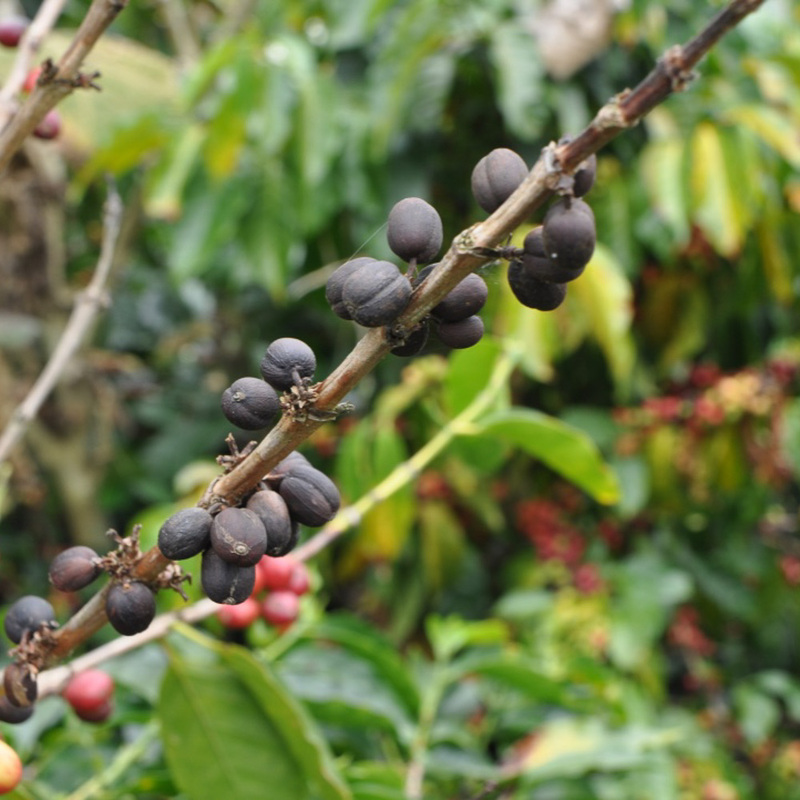 Coffee fruit can start fermenting before it’s picked. Coffee can ferment as it is still on the tree. While the words fermentation and processing are occasionally used interchangeably when we are discussing coffee, they are not identical. In fact, they’re related, but they’re distinctly different: Fermentation is a metabolic process performed by organisms in search of fuel, and the other is a set of purely mechanical and technical steps used to prepare an agricultural product for export. 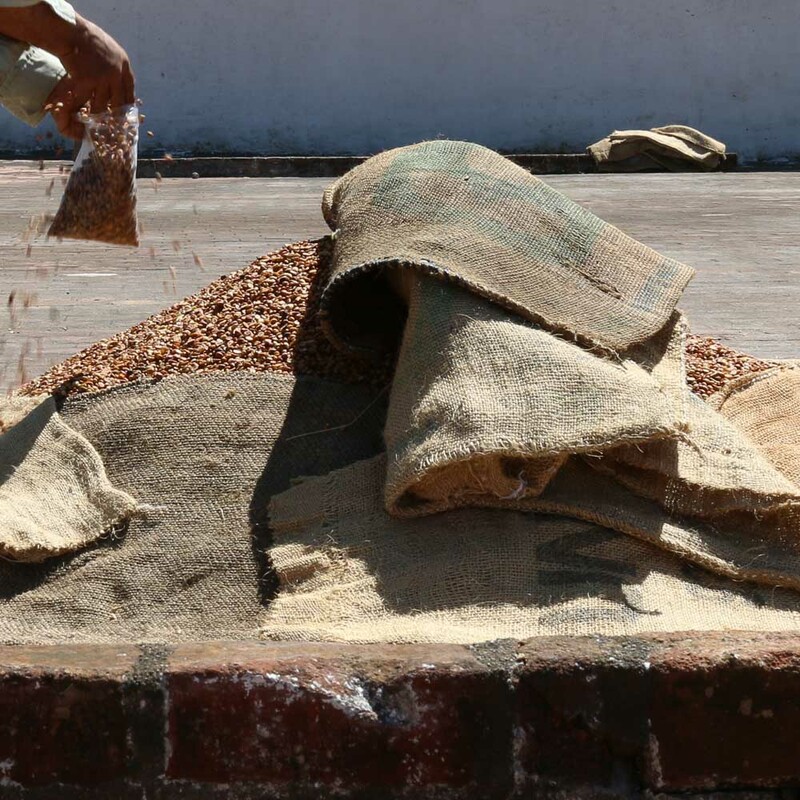 In coffee, fermentation’s historical use was in effectively removing the coffee fruit from the seed in order to roast and brew the seed as a beverage—it is part of the post-harvest processing. The development and manipulation of flavors through the fermentation process has not always been (and arguably still isn’t) well understood and was probably adjacent to the use of fermentation as a means for preparation. In fact, even now there are very few accessible primary sources containing empirical data concerning correlations between fermentation and taste or quality, even though hundreds of studies exist on the topic. The microorganisms responsible for fermentation live in or on almost every surface on earth, so this organic process begins as soon as they gain access to the substances that they consume, and can continue as long as there are fuel sources available to them in a hospitable environment. Different populations of particular yeasts and bacteria coexist with each other all over the world, and the various combinations of each will have different results: For instance, yeasts generally consume sugar and create ethanol, where bacteria can consume sugar or acids (among other things) and create other compounds and a rainbow of different flavors. Like microscopic mixologists, in a way. After the depulping process, microorganisms have easier access to the fruit mucilage they need to generate fuel. The rate of speed that those flavor-creating compounds transfer into the coffee seeds is not completely understood, though at Cafe Imports we have accepted the notion that fermentation and coffee flavor are related. While there is some research and experimentation happening in the field of coffee fermentation science, what we’ve generally known up until this point has been speculative, hypothetical, and anecdotal in large part because the scientific data has been hard to access or hard to digest (or perhaps “metabolize” is the right word). Some producers wrap coffee during the cool night to retain heat, protect it from rain, and continue the fermentation process. Fermentation will cause the fruit mucilage to become sticky. That said, here is what we do know, based on research, data collection, and lots and lots and lots of coffee sensory experience. 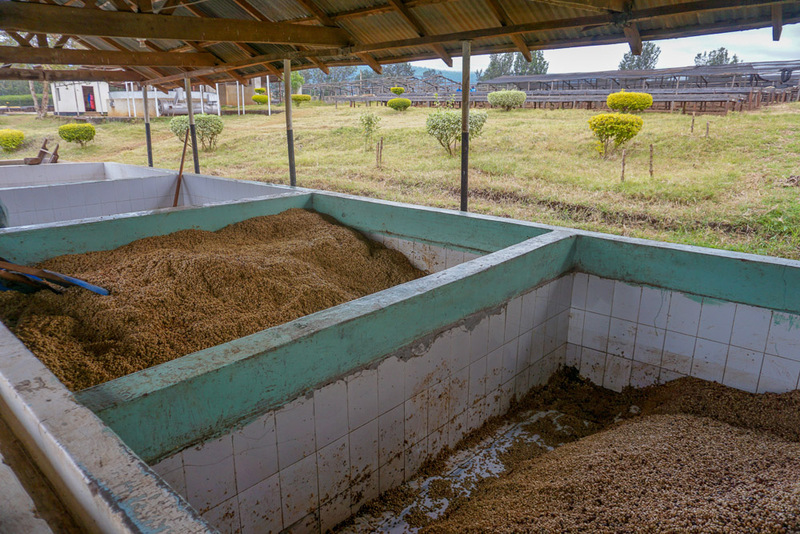 Different processing styles have utilized fermentation in different ways to achieve the end result (removing the coffee fruit from the coffee seed), and most have been developed over time as a response to environmental, resource-dependent, or market needs. 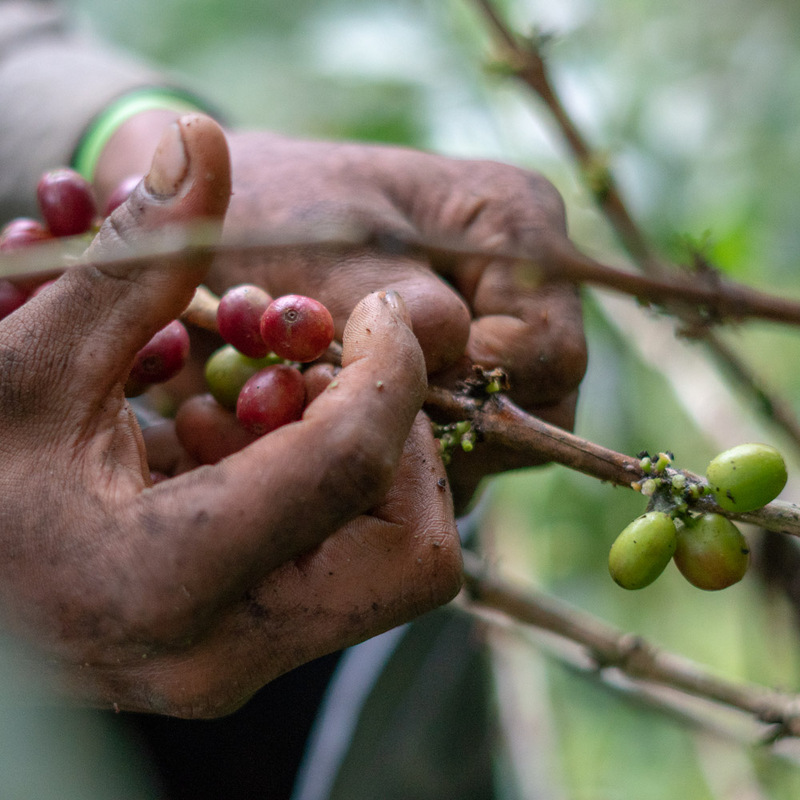 Producers in hot and dry climates with little access to water might have traditionally opted for a Natural process, while farmers who have limited drying space and plentiful access to water might prefer Washed coffees, as they tend to dry faster and have fewer defects than Naturals. With very little exception in post-harvest processing, however, fermentation is present. 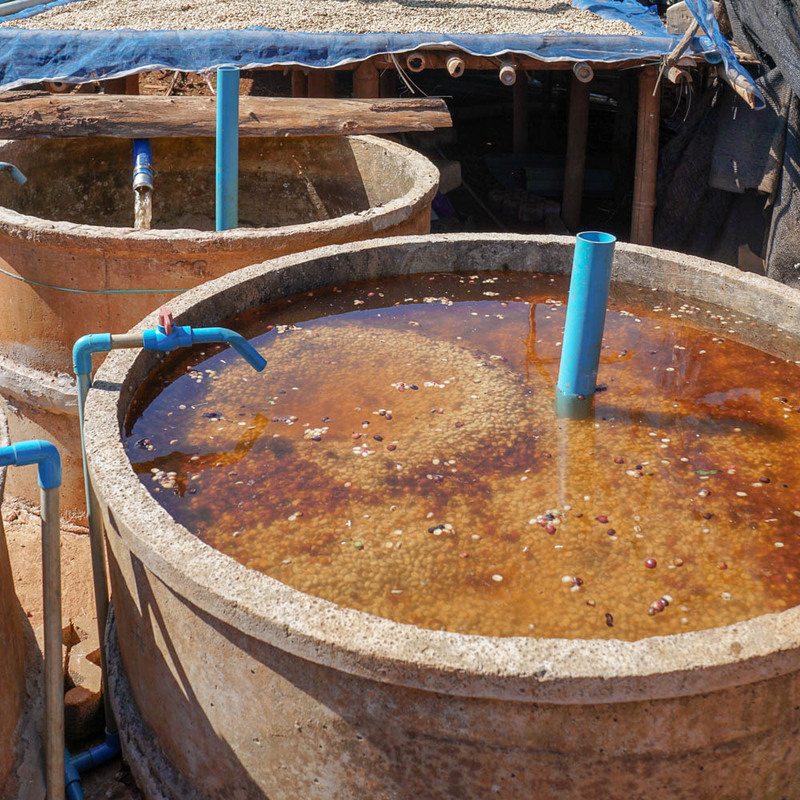 For instance, some types of Washed coffees sit in so-called fermentation tanks for a period of time after being depulped, which allows microorganisms good, clear access to both a concentrated amount of the fuel they need and also tends to generate heat, which can allow the metabolizing process to happen faster. Once the fruit has been softened and the producer has determined that removing it is appropriate, the seeds will be washed in clean water and the majority of the mucilage will be sloughed away. Meanwhile, though Natural coffees are not depulped, they still have microbial activity taking place inside the fruit, rather than on the surface of the seed in a fermentation tank. In this case, the fermentation will continue so long as there is fuel and moisture for the microorganisms inside a hospitable environment. Fermentation as a microbial process is less “controlled” than we tend to think it is. In some places, coffee is fermented underwater. In fact, fermentation occurs at some point during the majority of post-harvest processing techniques, except in some outlying or rare exceptional cases. In our case, as far as we know, all of the coffees we trade have been touched at some point and in some way by fermentation, even if the producer is unaware. Cafe Imports’s sensory director, Ian Fretheim, describes this jokingly as the “Life, uh… finds a way,” theory of fermentation (with thanks to Jeff Goldblum in Jurassic Park): Since there is no technique or method that we know of being used to prevent fermentation in coffee processing by any of our producing partners, there is also no tried-and-true method we can use to separate the resulting coffee flavor from fermentation. Honey coffees are sometimes piled up and/or covered to ferment. Natural coffees will ferment while they are drying. That fermentation affects flavor is a widely accepted concept, but how exactly this happens is still a little unclear. Again, we at Cafe Imports aren’t flavor scientists, just flavor hunters: We know from what our producing partners tell us that fermentation is a primary part of what they do in order to make a living off quality coffee, and we know from our tasting experience and expertise that coffees’ flavor will vary from year to year, place to place, process to process—even if the producer says they follow the identical steps. What’s more, there are sugars other than sucrose present in the coffee fruit, in addition to other compounds like acids and the alkaloid caffeine. Taking a single reading to determine ripeness, then, will not necessarily always yield the best results: The effectiveness is in comparison, contrast, context, constant and consistent record-keeping, and critical thinking. Relying on time alone to dictate fermentation’s progress will not necessarily yield the best results either, without taking other variables into consideration. 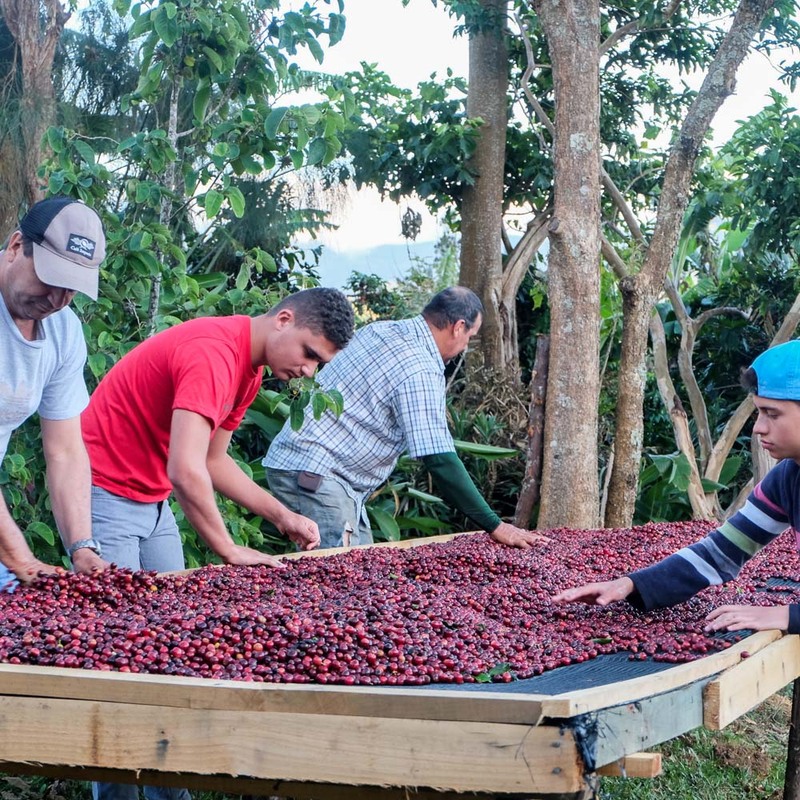 Coffees fermented for 18 hours in hot, sunny Tarrazú, Costa Rica, for instance, will be in a much different more advanced rate, speed, and kinetic phase of metabolization than coffees fermented for 18 hours in the cooler highlands of Huehuetenango, Guatemala (where fermentation can require 36, even 72 hours). Is this part of what contributes to the differences in flavor between coffees from those two regions? 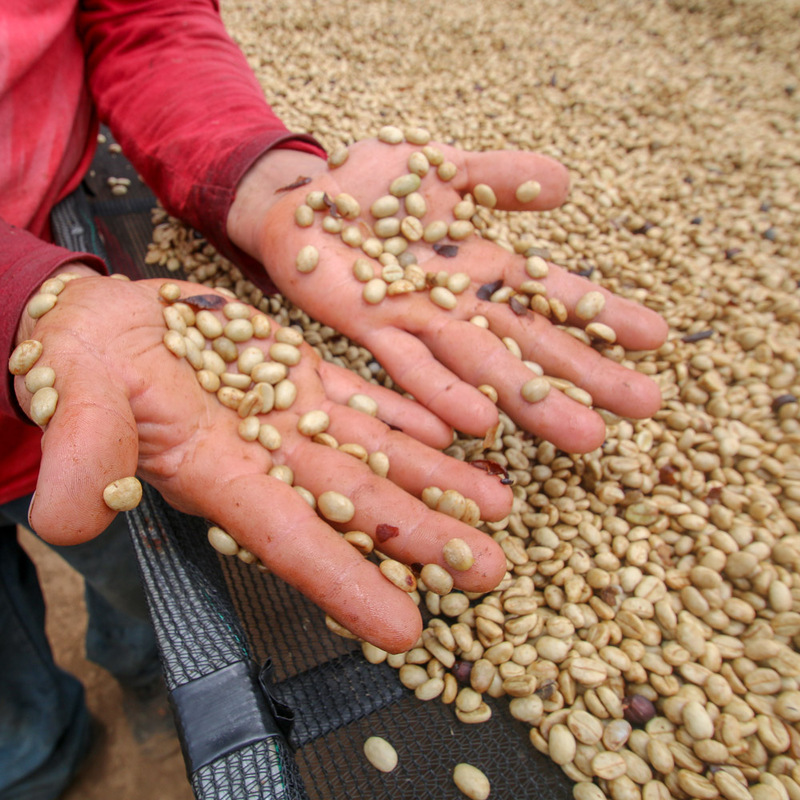 Perhaps, but we also must consider the differences in the microbial populations there, as well as the material of the fermentation tanks, the varieties of the coffees, and so on. Relying on time alone—that “standard” 18 hours, for example—can be useful as a guideline, but perhaps not as a prescriptive. 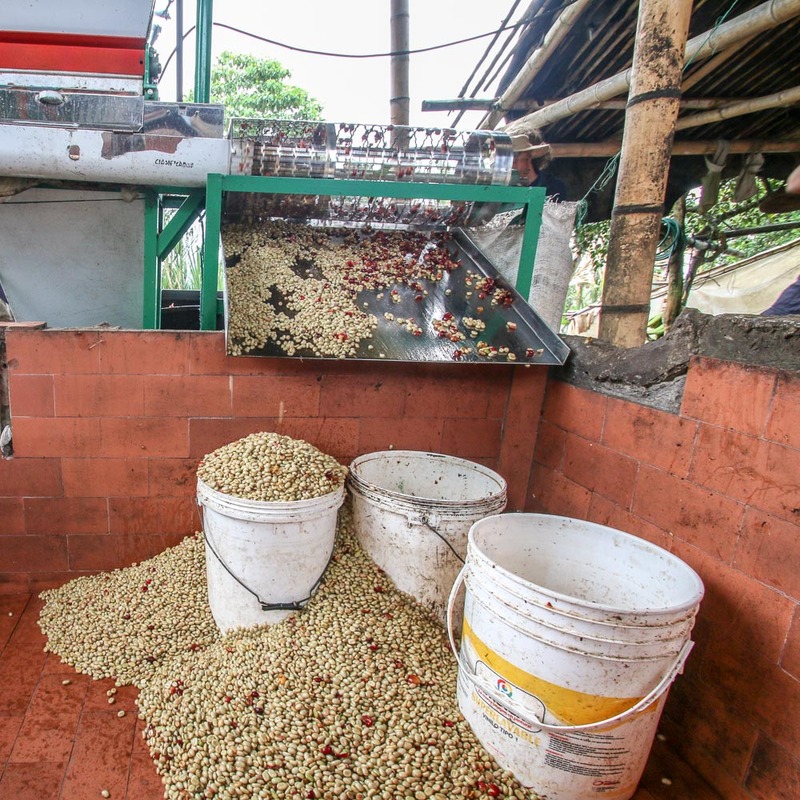 Fermentation tanks are common in many coffee-producing countries. In the end, nothing in coffee and nothing in life is perfect, and this is what we have to work with so far regarding fermentation: our taste buds, our ability to make informed deductions, and interpretations of the details that our producers offer in terms of their processes and theories about fermentation. 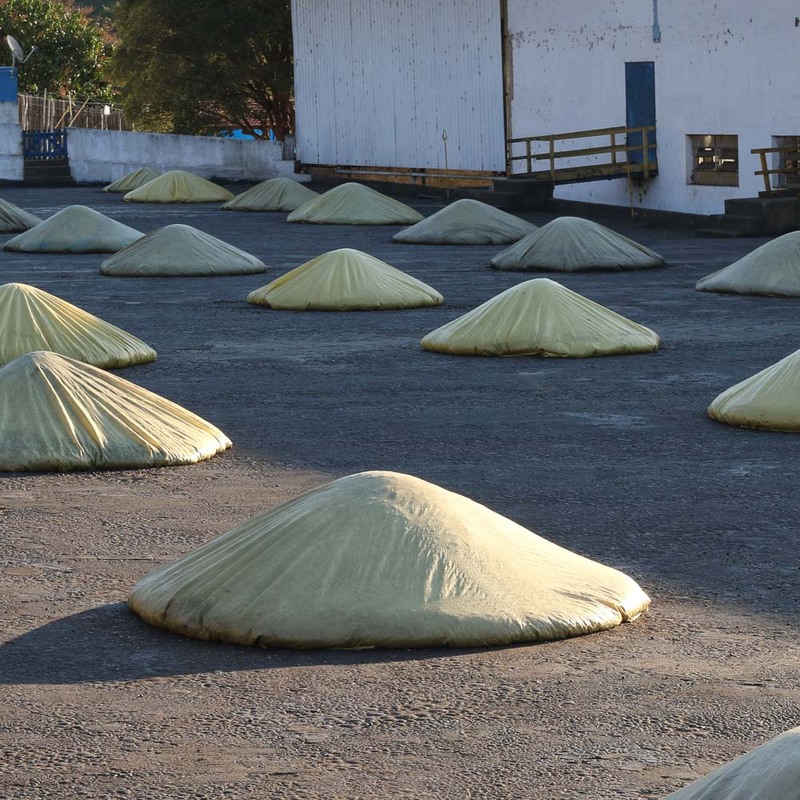 We will continue to work with producers who are pushing boundaries when it comes to commonly held notions of fermentation techniques, and who are as curious as we are to experiment, make changes, and adopt new technologies in the process. Sometimes the results are good, sometimes they’re downright terrible, but they’re all hopefully bringing us closer to a true understanding of how fermentation can both limit and expand the possibilities for a future full of delicious, interesting, and sustainable coffee. 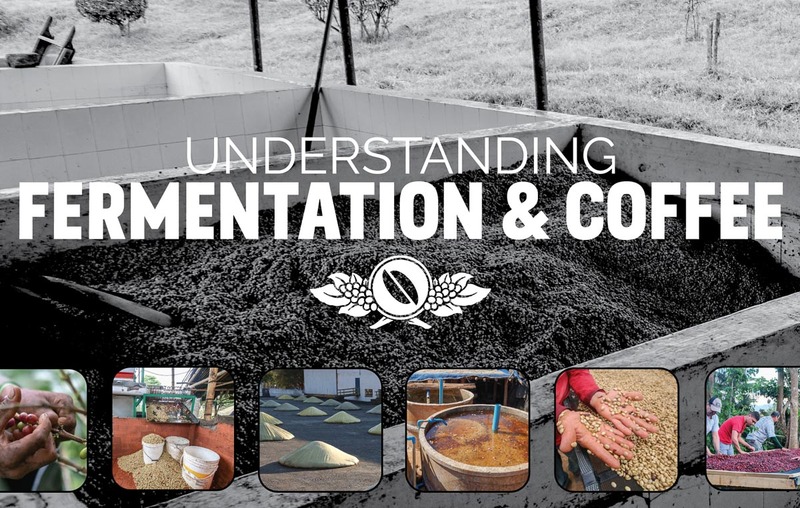 For more information about fermentation and coffee processing, visit our Processes or Fermentation pages.